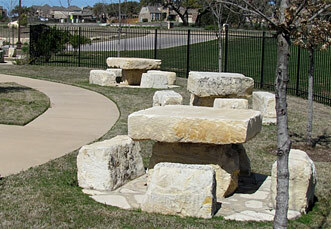 Texas Stone Quarry Lueders limestone, hill country sandstone and Austin limestone. 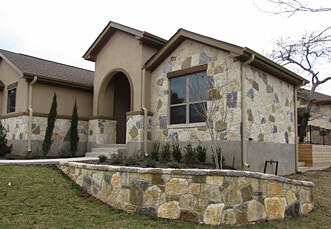 Aguado Stone Inc has been in business since 1997. We currently own and operate 4 different stone quarries in Texas from Georgetown to Goldthwaite and Lueders. We are only (1) one of (2) two quarries in the United Statesthat own and operate the famous Tiger Belt Water Saw. Since the beginning, it has been our goal to remain in the lead of cutting edge technology. We currently own (5) five separate water saws and (3) three Hydro split choppers which are the best in existence today. 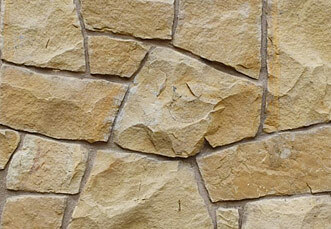 Our Georgetown quarry is where we get the famous white and cream Austin limestone. While these (2) two types of colors are known nationwide, we are not limited to these colors. Georgetown cave rock, Cordova cream, Austin Brown, Texas Mix and Rattlesnake are some of the other more popular selections that can be made from this quarry. We are capable of making large slabs of limestone that other quarries are not able to make. This quarry is home to our main office for the business.